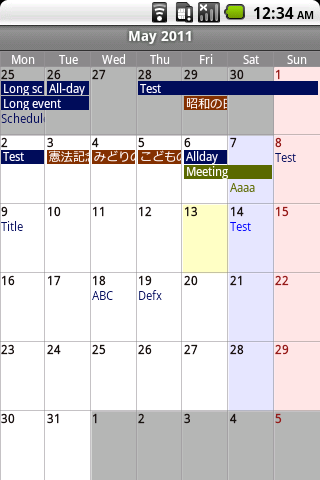 Calendar Pad app enables you to see your events with text. – Month, Week, Day and Agenda views. – Today, Month, Week and Day widgets. Pro version is also available. Used to love this app!!! Now I can’t see my all days events. The perfect calendar has be ruined. Was working well until ICS. Calender colours are back but events in month view gone. Can see in day pop up view. Was Great calendar app. Pop up when day is clicked a great idea. Used to be the best calendar app on the market. Now all day events don’t show up. Downgrade to 1 star. Update broke it – events not appearing in month view for this month. Please fix it! I’m having the same issues as many other people where not all my events are showing up. Please fix ASAP!